Detailed below are the reactions of National Federations around the world to the unbelievable global situation regarding welfare in the UAE, and Group VII countries. The Dutch Federation have threatened publicly to take matters into their own hands if the FEI do not act strongly enough . Le Figaro (major French newspaper) in France is currently on the case. The EGB board (Endurance Great Britain) has been particularly backward at coming forward in support of the initiatives for change. 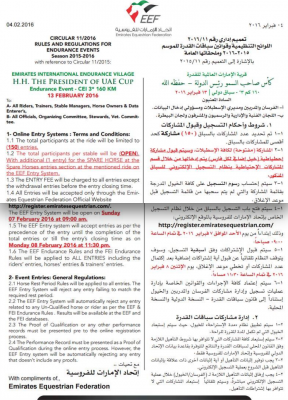 Even with knowledge of all the abuse occurring in the ME, EGB were blithely ignoring the situation, and as recently as a week ago still talking about sending riders to support the International races in the UAE. 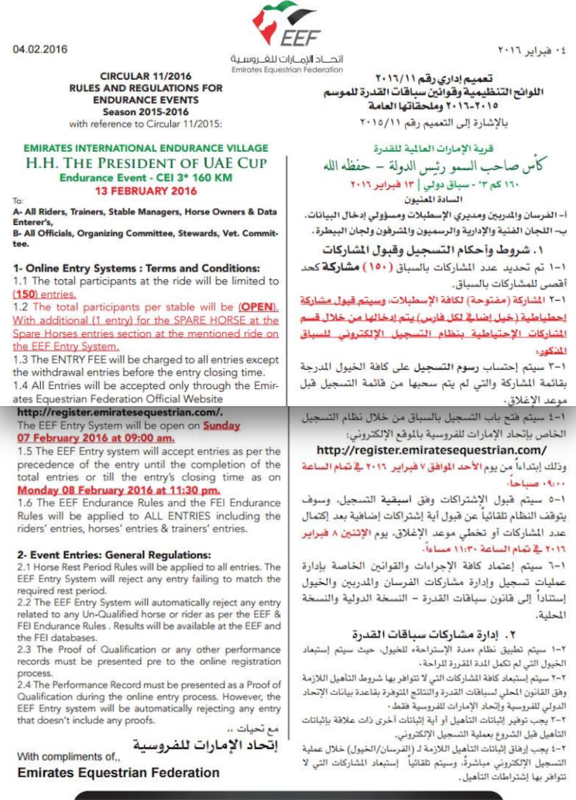 Dissenting voices on the EGB specific forum resulted in the forum being closed. Fortunately, a new forum has emerged where it’s clear the EGB board are not representing the general opinions of those they claim to represent. Far too late, they appear to have decided it prudent to follow the growing public distaste. 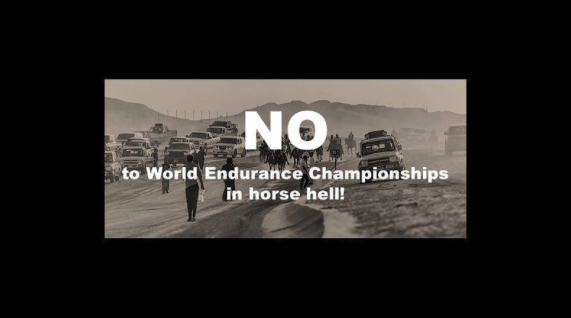 Now maybe there’s a point being missed here, but it takes some comprehending to figure why “the EGB page is not an appropriate medium for your cause” considering Endurance is in fact their sport. Pippa Cuckson details the punishments dished out to the most recent scapegoats for Sheik Mohammed’s endurance stables. Surely there has to also be some culpability from the man in charge in Dubai, who has in the past claimed ‘hands on’ attention to his horses? Those of you in TB UK racing may remember the curious case where Al Zarooni shouldered the blame for the steroid abuse in the Godolphin horses, and several prominent figures in the Godolphin entourage ‘relocated’. Bells ringing? Emerging patterns? As yet, there have been no public statements from Australia and New Zealand, two of the main Endurance nations. Australia are huge sellers of horses to the misery and suffering in the desert, while many NZ horses have been sold there too. The FB page used by many of the Kiwi Endurance fraternity has also removed the petition. One can only guess at the worries of income loss to those in Endurance if their cash cow of selling horses to the UAE is slaughtered. Whilst all this global condemnation is going on, (give or take a few unable to see past their pockets) it was therefore quite a surprise to see the below email being sent out to members of the EEF on 4th February, 2016. Maybe they remain confident that everyone has a price. Including the FEI.